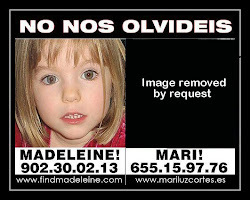 MARI LUZ CORTES : LIST OF MCCANN VICTIMS: MISSING PEOPLE: The latest victim to add to the list of haggard Kate McCanns PR Stunts. MISSING PEOPLE: The latest victim to add to the list of haggard Kate McCanns PR Stunts. METODO 3 no longer required' Kate can pull off her own PR stunts now thank-you very much.